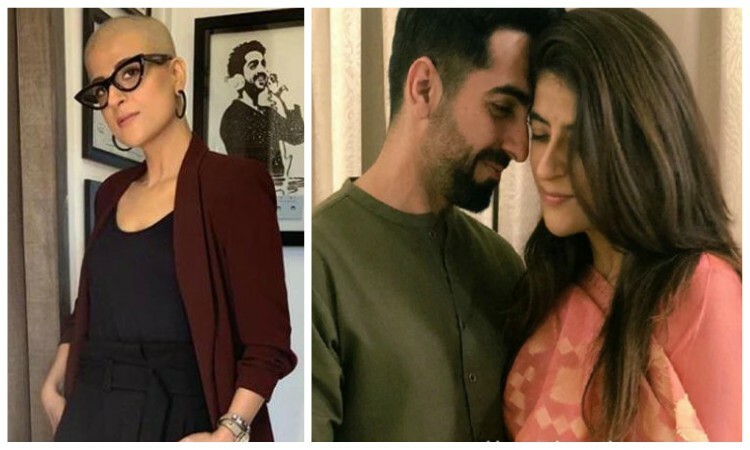 Writer-director and actor Ayushmann Khurrana's wife Tahira Kashyap, who was diagnosed with breast cancer, has called on everyone to get regular check-ups and mammograms done if needed. Tahira on Friday evening tweeted: "Just felt like urging everyone to get regular check-ups done. If the doc suggests please do get a mammogram done. Please do not ignore any symptom." She also said that "early detection can really help". "Please take good care of yourselves... breast cancer awareness... early detection," Tahira, who has undergone preventive mastectomy, added. On September 22 last year, Tahira shared online that she was detected with DCIS (ductal carcinoma in situ) in her right breast with high-grade malignant cells. She returned to work after mastectomy in November. Varun Dhawan FEARS Alia Bhatt won't collaborate with him anymore? Shakti Kapoor REVEALS Truth about Shraddha Kapoor and Rohan's Wedding!